Vacationing with the family is a treasured time. 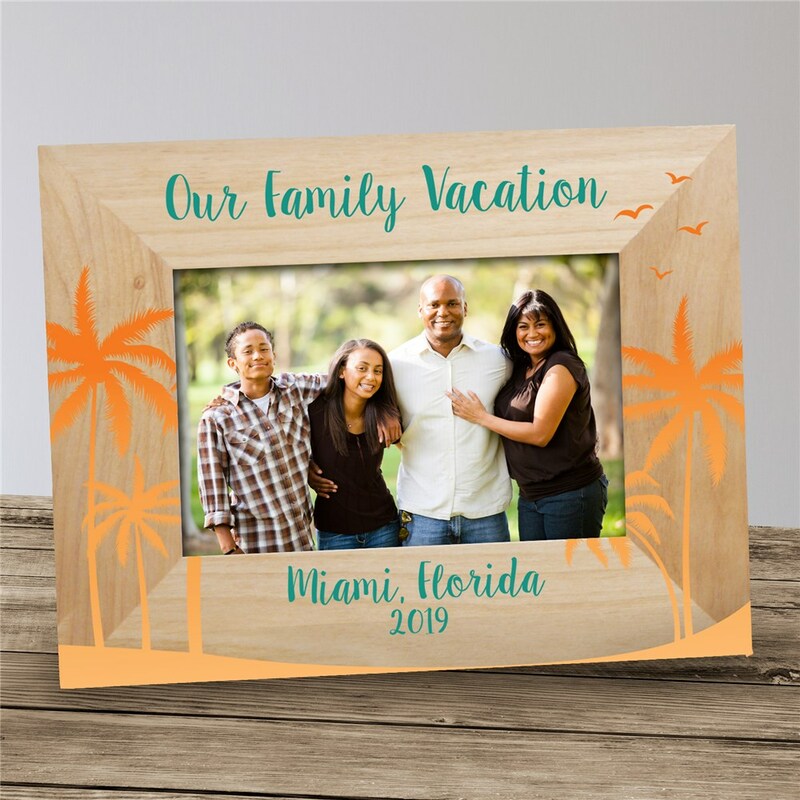 Remember your special trip to a famous landmark or weekend get away to your favorite vacation spot with your own Personalized Palm Tree Vacation Frame. We will customize this Personalized Vacation Frame with any custom message line for you to put in your destination and any year. Have been purchasing personalized frames for my guests at our vacation rental for the last 3 yrs. The product is well made and my guests are thrilled to received a special momento of their vacation. Plan to keep up the tradition.